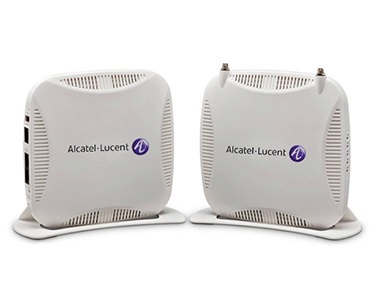 Alcatel-Lucent OmniAccess™ Access Points (AP’s) are small, lightweight and can be securely deployed in a variety of locations, such as on walls, cubicles, desktops and even in the ceiling. The AP antenna diversity allows for the best possible signal processing using dual, omni-directional antennas. Alcatel-Lucent OmniAccess AP’s work with Alcatel-Lucent OmniAccess Wireless LAN (WLAN) switch/controllers to provide a high performance wireless mobility solution for enterprises. Alcatel-Lucent OmniAccess Aps have an extended lifespan because they automatically configure themselves across any L2/L3 network using discovery, allowing easy upgrades when new features, capabilities or standards emerge. Dependant Access Points and Remote Access Points. 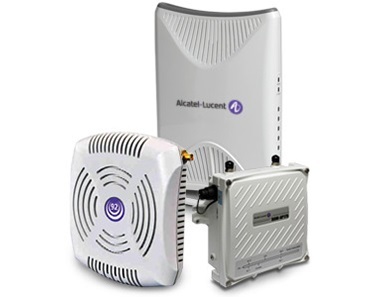 Alcatel-Lucent OmniAccess Points provide enterprise-class access capable of supporting multiple functions including wired and wireless access, air monitoring/wireless intrusion detection and prevention. These access points deliver secure user-centric network services and applications. They require a WLAN switch/controller and software licenses. The remote access points will deliver secure user-centric network services and applications to remote branch office, home office workers and tele-commuters.